General Motors recalled nearly 200,000 Hummer H3s last week over fears that they might catch fire. But it turns out that GM knew that flaming Hummers were a problem for several years before that. And what’s worse, the National Highway Traffic Safety Administration exclusively told Jalopnik that GM did not act until the feds threatened to launch a formal investigation. 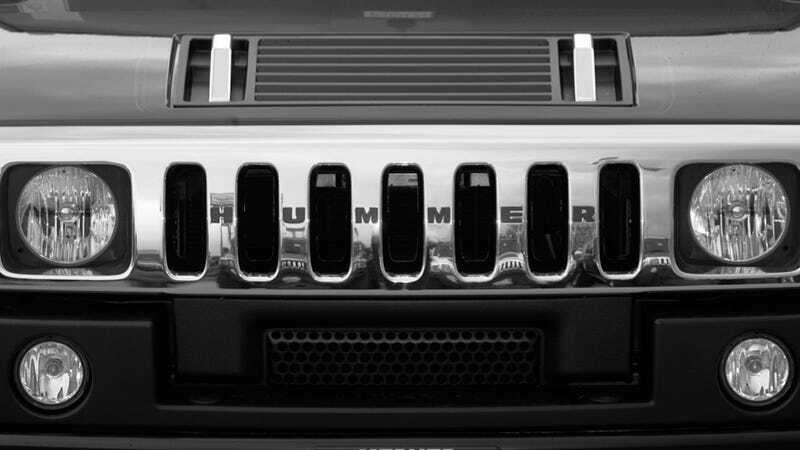 Hummer H3 owners had been complaining to NHTSA for years, pleading for some sort of recourse after a problem was noted with the blower motor in the heating and air conditioning system. The connector and the resistor could short out, quickly causing a fire. The first reported Hummer H3 caught fire in August of 2008, and its owner notified NHTSA just a month later. In total, there were 73 incidents involving the HVAC blower motor, including reports of burned or melted components, smoke, and fire itself up to and including total loss of the vehicle, by our count. One person’s car was completely immolated, preventing them from opening the doors of the burned-out hulk. It’s known by now that despite all of these complaints NHTSA generally ignores them, so it’s up to GM to notify the regulators if it thinks there’s a safety issue. In fact, as part of a GM settlement with the government, the company is required to meet with NHTSA every single month to notify the Feds if they think there’s a potential safety issue. But despite the first fire occurring at the latest in 2008, GM still waited until January of this year to notify NHTSA. And when the automaker did, it tried to downplay it, NHTSA told us. GM listed the H3 resistor failures on an accounting of safety concerns presented to NHTSA in January of this year, NHTSA said, but the GM count of complaints and fires was revealed to be lower than that compiled by NHTSA after the agency reviewed all of its own data. Clearly, there was some sort of discrepancy, though it’s still not quite clear whether it was by miscounting or because GM was simply unaware of the complaints. NHTSA went back to GM in June, specifically noting that there was a problem with GM’s numbers. Since GM had a history of trying to downplay potentially life-threatening safety issues, NHTSA says they gave them a choice: Issue a recall or face formal investigation. GM quickly capitulated, and on July 9th, they issued the first recall notice. This is all too familiar territory for GM customers, as it’s a company with a checkered history of dealing with recalls. Starting over a decade ago, it put faulty ignition switches into its cars, which the company knew about and ignored, until it became a catastrophic problem. Eventually, those faulty switches resulted in the deaths of over 100 people and GM finally issued a recall. It turns out, that once again, GM could have known, or should have known, there was a danger was lurking in its cars, and let out barely a whimper.